Sick of clients using Zillow™ or some other inaccurate source to look for property values? 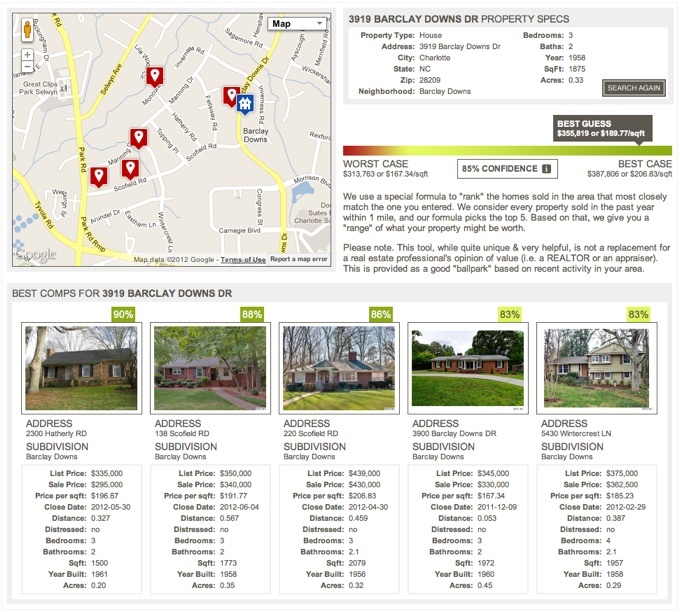 We have created an advanced formula that scans the market and “ranks” the top comps for any property in the Charlotte metro area. 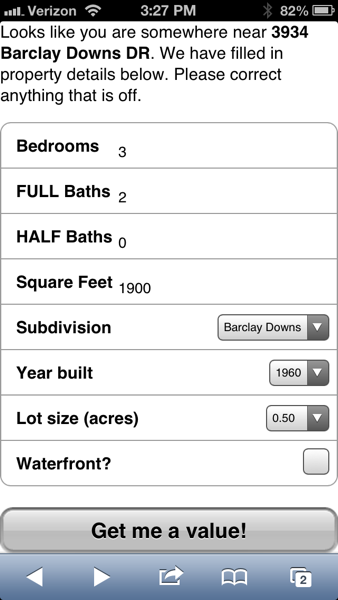 It then suggests a potential value range for that property. Or, you can use your own special login to create a custom report for a client, where you hand-pick the comps & rank them yourself. The client can then view their report online. eValuator uses a proprietary, advanced ‘formula’ to suggest a value for a property. It doesn’t merely average a bunch of sold properties. This is the real deal, and the only thing of its kind. Mobile version also available! 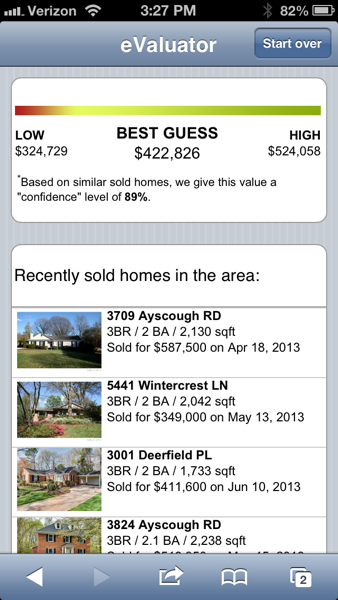 This allows you (or your clients) to get instant property valuations during showings. 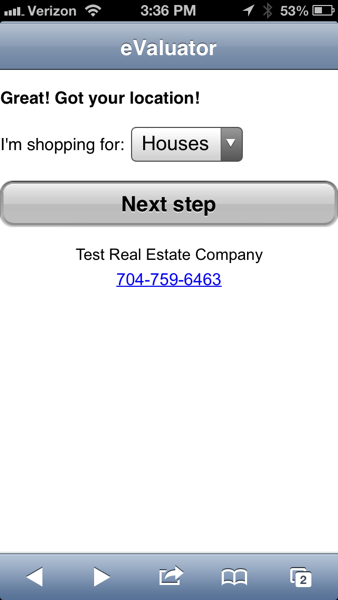 The mobile version “detects” your location & you fill in property details. 2 easy steps & you get the 5 best comps & a suggestion of value. Check out our desktop demo & run a report for yourself! This is a very unique tool that will give you a big edge on your competition. Discounts available for clients with our IDX.